By 1984, the words Gran Turismo Omologato already carried an enormous amount of weight in the Ferrari world. For years, the 250 GTO had been considered the finest sports racer that Ferrari had ever produced. With an incredible racing record, which was only rivaled by its sensational driving dynamics, the 250 GTO had already been cemented into sports car lore as nothing short of a legend. For Ferrari to revive that legendary moniker, the new GTO would be expected to match or surpass the 250 GTO’s record in motorsport. Looking to contend in the FIA Group B, Ferrari designed and produced the 288 GTO in order to homologate it for competition within that series, calling for a production run of 200 cars. Group B was incredibly popular following its introduction in the early ’80s, especially in Europe, and Ferrari was eager to jump into the fray, as they were certain that their car would be unmatched in competition. However, Group B was cancelled shortly thereafter, leaving a fully developed and homologated car but no series to compete in. 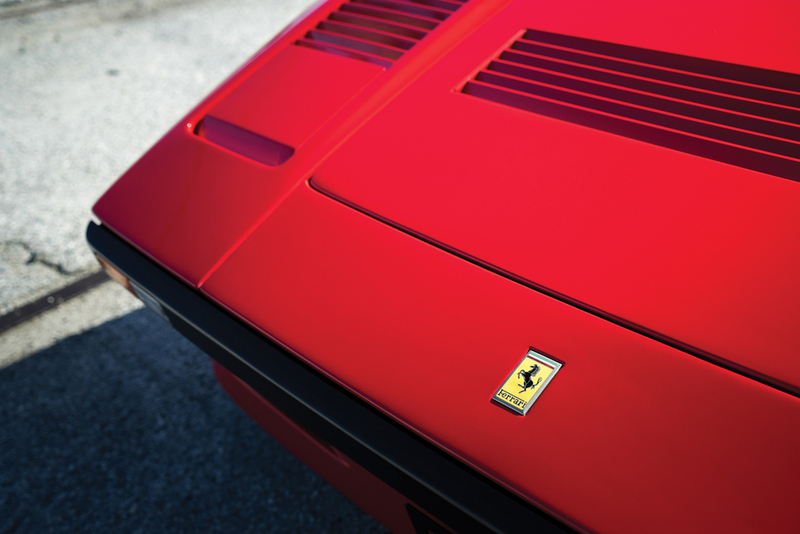 It was clear that the public was highly anticipating Ferrari’s newest no-compromises supercar, and the 288 GTO was certainly not going to disappoint the brand’s fans or customers, even without a place to race. RM Sotheby’s will be offering this example at their Amelia Island auction on the 12th March. For more information on this and other vehicles at the sale, click on the link below. Photos: Karissa Hosek ©2015 Courtesy of RM Sotheby's.